Their brief to me was simply to produce an organic design, and previously I had designed and hand made a Lemon coloured Diamond Engagement ring for Shu which was an intertwining design. I suggested to Mark and Shu, that the symbol of Infinity would be a meaningful core to their wedding ring designs. 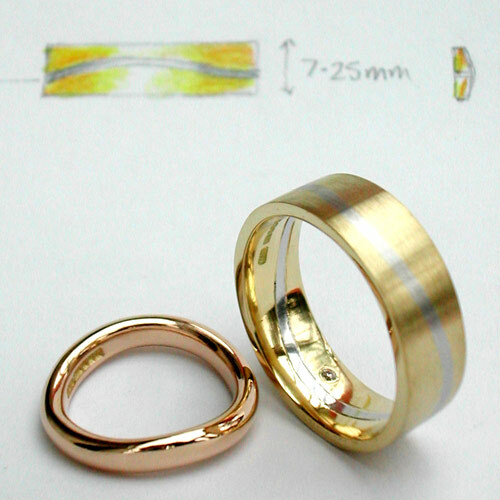 Materials: 18ct red gold for Shu, and 18ct yellow gold with a platinum band running within the bold, heavy band, for Mark.